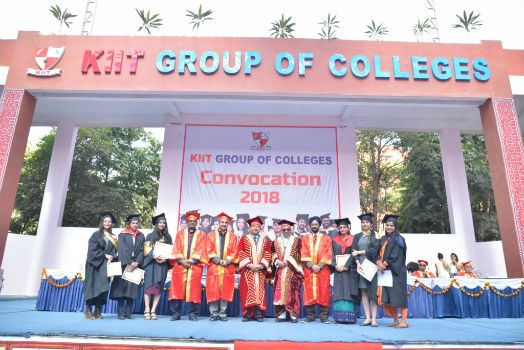 Gurugram: KIIT GROUP OF COLLEGE Gurugram organizes its Convocation Ceremony at Bhondsi Gurugram campus. Total 608 students from KIIT College of engineering, KIIT college of Education & Kamrah Institute of information technology received their degrees at convocation ceremony in the presence of Chief Guest Prof. Bijender Kumar Punia Vice Chancellor of Maharishi Dayanand University. Prof. Bijendra Kumar Punia, VC said today’s youth has a very important role in nation building. Youth should come up with New Ideas so as to fulfill your duties in pursuing the country. Most important is to eliminate the fear inside. He added that mobile phone nowadays has been made a friend though it is essential but the outer world is way beyond it. According to KIIT culture, the college honors the students who perform very commendable three years this year. 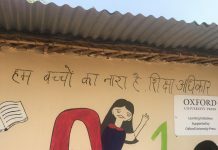 Seven to seven students were awarded the PS Grover and the Sudarshan Grover Awards and the Late Satya Kamraah Award in which the students got the Medal Certificate and the cash prize. Students receiving Gold Medal included Archana, Garima, Akash, Nishu, Omkar, Deepti Divya Prakash, Gaurav, Sanjeev and Hitesh from B.tech and Neha, Pinky from M.Tech. Whereas Parveen, Nisha, from M.B.A. ; Jyoti and Vikas from M.C.A and Neetu and Lalita from M.Ed-B.ED. On the closing ceremony, the management member of KIIT College followed by a note of appreciation to all the students saying Going forward and be ready for every challenge that will come and proceed with the highest thinking. On this occasion, Registrar of KIIT College Neelima Kamrah, CEO Harsh Kamrah, Director General SS Agrawal and Principal M Sen Gupta also gave their presence.